For centuries, Paris has been the undisputed center of France. Just as the capital has always dominated the country’s fortunes, it has also played and continues to play a unique and trend-setting role in the story of French architecture. 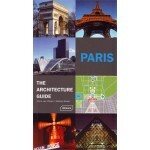 The present architectural guide opens the door to the architecture of this fascinating, multifaceted metropolis. Two proven experts guide the reader through all the historical architectural eras – from the Roman past to the present. The chronological sequence and the high-quality photos clearly reflect the typical characteristic of every era. As well as approximately 500 individual buildings, the most prom-inent architects of Paris and every era are introduced. 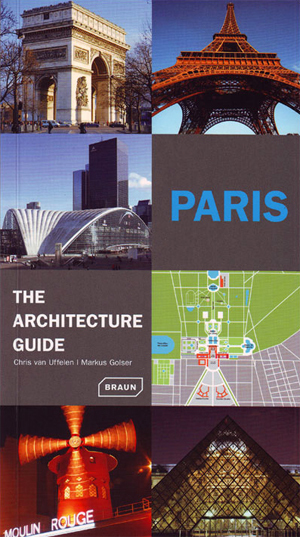 The wide range of information is complemented with numerous tips on the topic of architecture and a selection of restaurants and cafés which are sure to bring a special dose of enjoyment to fans of architecture.